Back in May last year, Vox began a crowdsourcing campaign for Borders, its documentary series about the impact that borders have on people living either side of them. Series one saw reporter Johnny Harris travel through Japan, Svalbard, The Dominican Republic and Haiti, The US and Mexico, Spain and Morocco, and China and Nepal to produce six in-depth documentaries. 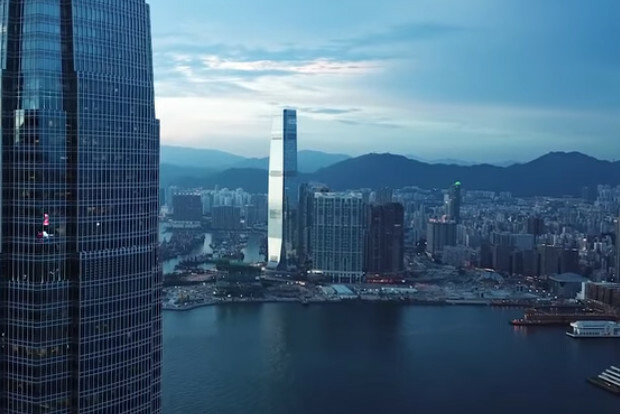 This year, the publisher chose to focus solely on Hong Kong, where Harris headed out as a one-man band to shoot five documentaries over the course of 12 days. "I crowdsourced ideas from the people there, asking locals to fill out a form and tell me what I should be filming and who I should be speaking to," he said, noting that he got 700 eager responses. "I would then email them each week with a 'local brainstorm' – questions that had to do with my reporting, such as where the best place to get tea is, or where I should be staying. "It enabled me to get a really robust connection with the local network – it made my reporting more rigorous because I had so many perspectives." Episodes, which were published weekly from mid-July, covered a range of topics in the country, such as the relics of British culture within Hong Kong, how China is erasing its border with the country, and how feng shui has shaped its skyline. "I would literally just go through the spreadsheet with all these responses on, and then pinpoint them on the map," he said. "We also heard from people how they felt about certain issues, so I got a wide range of reflections on these topics, which injected the videos with such a local flair." In the first series, Harris created regular dispatches for social media as he went along, almost impulse videos to show people interesting things along his travels – but there was no specific reporting there. "This time, I wanted to focus on the Dispatches being substantial pieces, and then they ended up turning into full-on episodes, about culture, mythology and history – not just about the border," he said. "I really did a lot of pre-reporting and thinking and pitching on all five of the videos, which took about four weeks – a little more preparation went a long way." Harris had an outline of his script prepared before his visit, which he carried around in hard copy so he could pull it out when needed, to ensure he captured the right visuals for all five videos. "It was a little busy to intertwine these videos, but it was also nice to have all that preparation done beforehand – I knew what I was trying to cover and I could just check it off as I was roaming around the city," he said. Last year, Harris had a social media intern, but this year he did not, so he had to be a little bit more leaner on the promotional side while he was in Hong Kong. However, he still posted as much as he could, especially to Instagram, where he would show off Hong Kong's skylines. "My presence on social media while I'm in the filming process is something I want to change in the next series, as I do think it is important," he said. Harris is also coming around to the idea of using local videographers to help him out in the field, as he found working on his own to be too hectic at times. "There was a lot of wasted energy in me just coordinating," he said, noting that shooting, interviewing and producing the documentaries could get a bit much. "With someone to help film, I will be able to focus on reporting – getting the soundbites out of my subject rather than splitting my brain between journalist and technician will be useful. "Although, it is difficult 'letting go' when you're used to working by yourself." His daily workflow and script could change depending on the comments and suggestions he was receiving from his local brainstorms, which could throw Harris off track from his original schedule. He used a Mavic Pro drone, A7S2 camera, a Manfrotto b3 tripod and the Osmo gimble – all light and small enough to carry around easily. "I guess the flexibility is a blessing and a curse, because I'd spend way too much energy on certain bits," he said. "But it was flexible, so if I found an interesting drone moment with amazing lighting or a great place to film, I could stop and film it – it was very intuitive." Harris, who has just been nominated in the “Outstanding Video Journalism” category at the News and Documentary Emmys, will next be travelling to Colombia to shoot series three of Borders, and will be crowdsourcing from locals to craft his documentary episodes. Catch up with series two here, and listen to our podcast with Johnny, who spoke with us last year, at the beginning of his travels here.